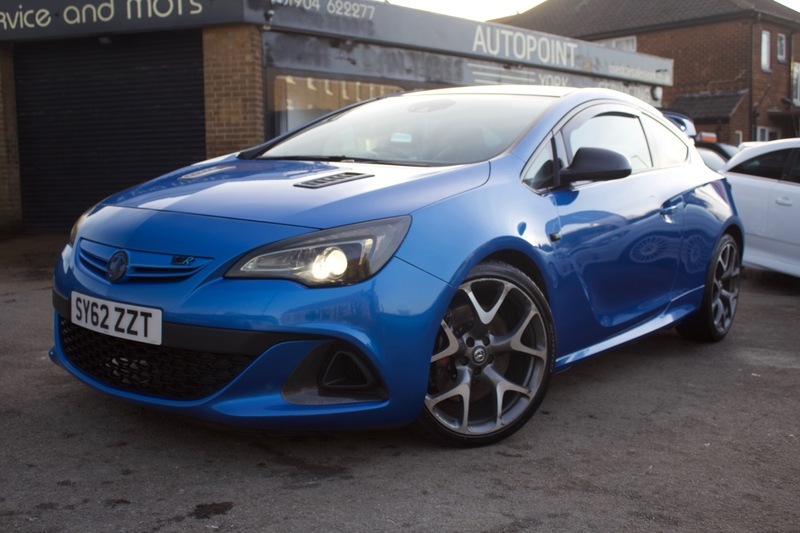 Here we have our Vauxhall Astra VXR in desirable Arden Blue with Recaro Leather Sports Seats with Blue Stitching. We have a good service history with the Astra. The Astra J as standard sits at 276BHP, with an aggressive look and sound to match. This VXR is SURE to turn heads. The car has styling extras including Extended Spoiler and GTC Aero Pack. The VXR also comes with, ABS, Air Conditioning, CD Player, Central Locking, DAB Radio, Sat Nav, Electric Windows, Bluetooth Connectivity, Brake Assist & Collision Impact Alert, Cup Holders, Cruise Control, Daytime Running Lights, Xenon Headlights, Electric Mirrors, ESP, ISOFix Point, Parking Sensors, Privacy Glass, Rain Sensor, Side Impact Airbags, Start/Stop System and Steering Wheel Controls. The car also comes with MOT, 12 months Service, Warranty, Free AA Cover for a year and Pre Delivery Inspection Report.